Logo engraving starts from as little as £4.99 per image. 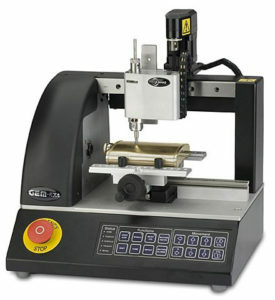 diamond drag engraving machine we are able to engrave beautiful logos and images onto your chosen hip flask. Logo engraving is very popular within the corporate sector as corporate gifts complete with company logo are a great way to help companies advertise and also promote unity within the company. Engraving images for members of the public has become a great way for consumers to personalise their hip flasks in a way not commonly found. Most images are acceptable for engraving and can really bring a flask to life giving the gift giver and the user something great to talk about. Nothing says better about the thought put into a gift when you make it a personal gift. We engrave for both corporate and personal customers and are always happy to take a look at any images you might want to have engraved. The above link takes you to our logo engraving page where you can see some of the recently engraved images we have been asked to engrave. These images range from standard company logos to interesting and zany. Getting the right kind of image for engraving is important, engraving software works by taking the chosen image and breaking it down into lines that are to be engraved, if there is too much information the software finds it hard to work out what should and should not be engraved. We have put a little guide together so you can get some hints and tips for choosing the right image, you will be able to get a good idea of what images work best for engraving. This will make searching for your chosen image a little easier. Of course if you’re not sure if the image is going to be right just follow the details in the guide and send us the image to check. If you have an image and you would like us to check it then please use the link above to go to the logo engraving contact form. Here you can upload your image and submit it for checking. We will reply the same day during normal office hours and normally well within an hour of receiving the image. Take a look at our selection of plain hip flasks, perfect for logo engraving.